The staff were friendly and provided service with a smile. There was quite a lot of seating, some on a raised level and there was also some outdoors. 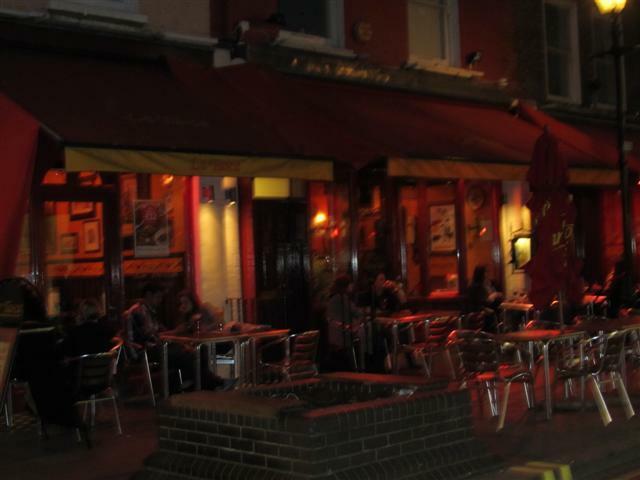 La Tasca had such a big menu with lots of tapas dishes so it took us a fair while to decide what to have. We decided on some small tapas dishes and also a paella to share. The Montadito Berenjenas was toasted bread topped with aubergine and cheese. It was quite big and had good flavours. The classic Patatas Bravas in tomato sauce was yummy! The sauce was not spicy and the potatoes were a nice size. Another good dish to make up the tapas selection was the garlic mushrooms and the Pisto Manchego peppers, onions courgette and aubergine in tomato sauce. The vegetables seemed like the same selection that we had on the toasted bread. As were eating all these dishes, the big vegetarian paella was served to us. It was presented with big chunks of tomato and lemon wedges. It was supposed to serve two people but there was plenty for the four of us. The paella had quite a rich flavour due to the tomato based sauce. After all our delicious food, surprisingly we had some room for dessert. It had to be the Toffee Apple Crumble. I was pleased that it came with ice cream. The oaty crumble was crunchy and buttery and the toffee sauce and apples were a good match. 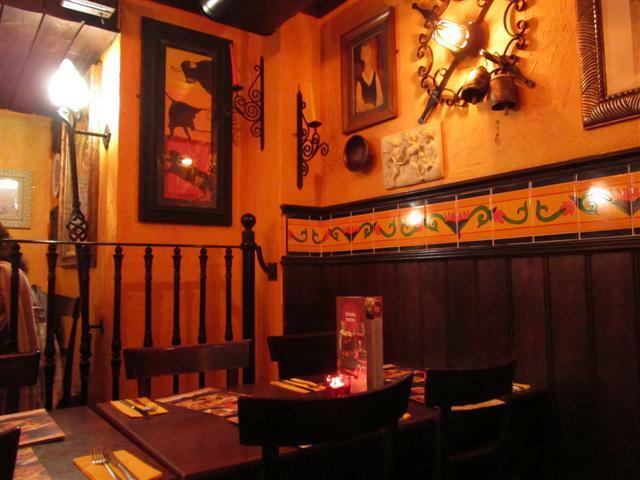 La Tasca is one of those places that time is not an issue. 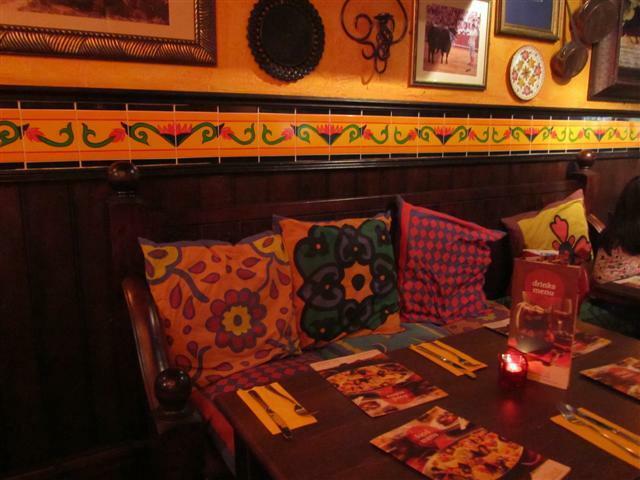 This makes it a good place for a relaxed gathering with friends and a good selection of food.